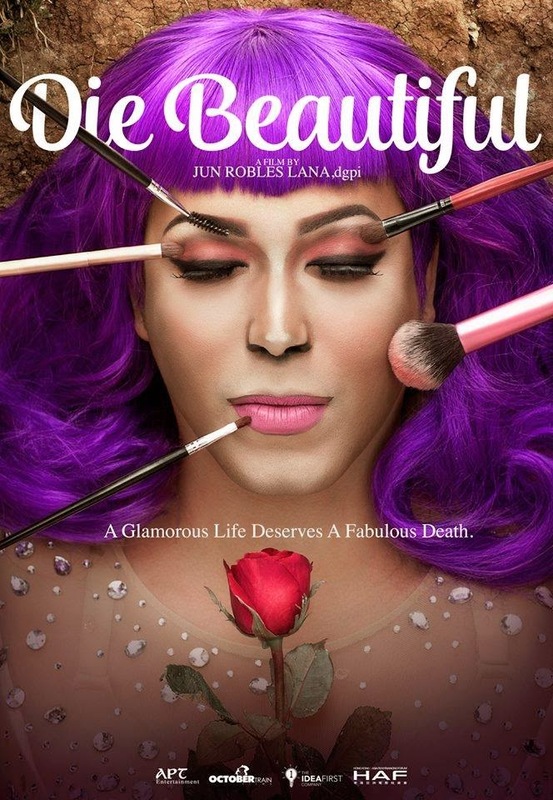 Home / FILIPINO FILMS / FILM POSTERS / "DIE BEAUTIFUL" to be topbilled by Paolo Ballesteros! 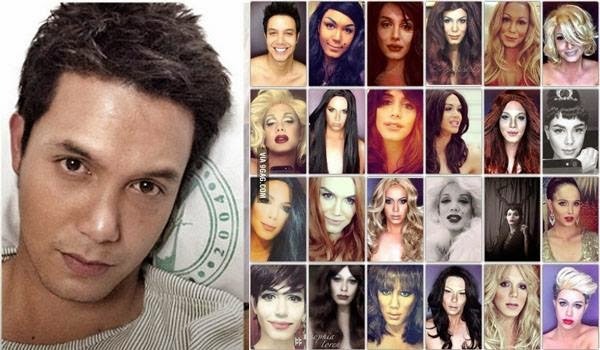 "DIE BEAUTIFUL" to be topbilled by Paolo Ballesteros! Watch out for "DIE BEAUTIFUL" to be topbilled by Paolo Ballesteros (finally a solo lead role in film! ), written and directed by Jun Robles Lana. This comedy-drama indie film is about a Filipino trans-woman (who loves to impersonate celebrities) with the dying wish to be buried as Lady Gaga. But then the body of Paolo’s character gets taken by a Chinese-Filipino family who dresses the trans-woman as a man in the funeral service. Gay friends steal the dead body, which they dress up every day to honor the last request. Paolo Ballesteros is a Filipino actor, TV host and model. He has appeared in films and several TV shows.He is currently known for doing several impressive "make-up transformations of known celebrities like Angelina Jolie, Cher, Queen Elsa and Ariana Grande to name a few. In 2001, Ballesteros joined the noontime show "Eat Bulaga" as segment host for the campus pageant "U-Bet", with fellow newcomers Phoemela Barranda and Derek Ramsay. After "U-Bet" ended its run, he was immediately elevated to regular host status. His daily exposure in the show and immense rapport with the veteran "Bulaga" hosts won him a wide fan base. In the later part of 2010, Paolo unofficially formed a comic trio with Eat Bulaga co-hosts Jose Manalo and Wally Bayola when they were assigned to host the show's segment "Juan for All, All for Juan" where they visit different barangays and give various gifts in cash and kind to the lucky homeviewers. Later in 2011, Ballesteros won as EB Universe 2011 as "Shamcey Mwah Mwah Tsup Tsup" Ms. Philippines in a special episode called EB Universe 2011 in Eat Bulaga. Jun Lana (born October 10, 1972), born as Rodolfo R. Lana, Jr., is a Filipino playwright and two-time FAMAS award-winning screenwriter. The winner of 11 Palanca Awards for Literature, he became the youngest member of the Palanca Hall of Fame in 2006.